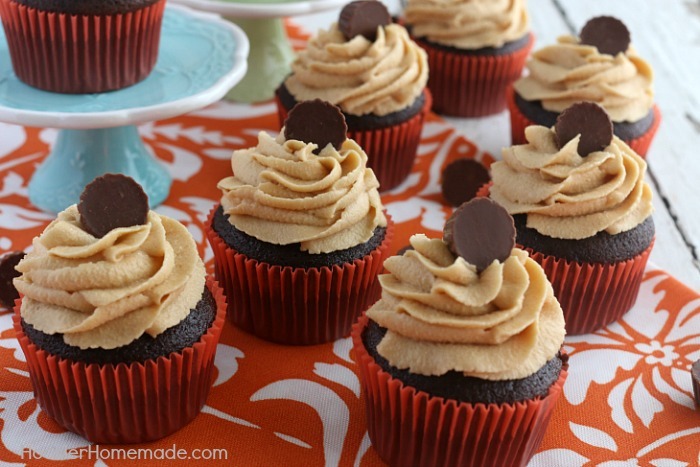 Chocolate and peanut butter go together so well! However, recently, I have not been loving my normal chocolate cupcake recipe. So I started experimenting- I wanted a really moist cupcake- and I got it! 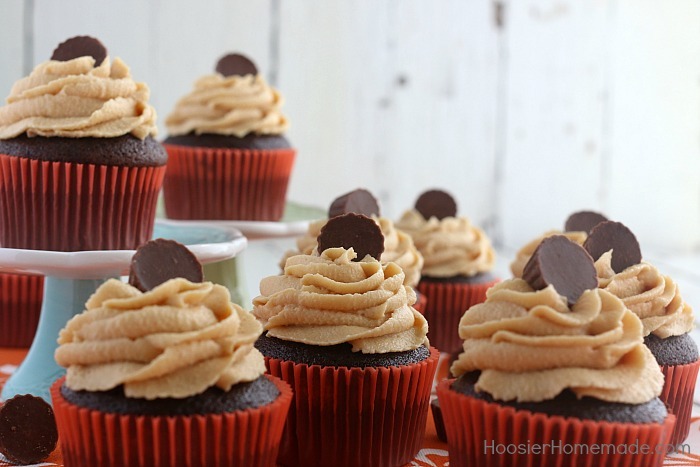 Here it is, my new favorite: chocolate cupcakes with peanut butter frosting. Usually, my favorite part of a cupcake is the frosting, but with this new recipe, the cake itself rivals the frosting! You will never guess my secret ingredient is- Hellmann’s Organic Mayonnaise! It gives the cake the perfect texture and add a richness to the cake. Besides the Hellmann’s Organic mayonnaise , most of my other ingredients stayed the same- flour, sugar, baking soda and powder, and of course cocoa powder for the chocolate flavor. Another tip to bring out the chocolate flavor? Coffee! I promise, it doesn’t taste like coffee, it just enhances the flavor of the chocolate! The new Hellmann’s Organic products are made with organic cage-free eggs, organic expeller-pressed oils, and no artificial flavor. They also have Organic Spicy Chipotle and Organic Roasted Garlic and are available at your local Kroger store. After I baked the cupcakes, I was already happy with how they turned out! The tops were perfectly rounded and ready to be frosted. The chocolate flavor was perfect and the Hellmann’s really made the texture of the cupcakes perfect! 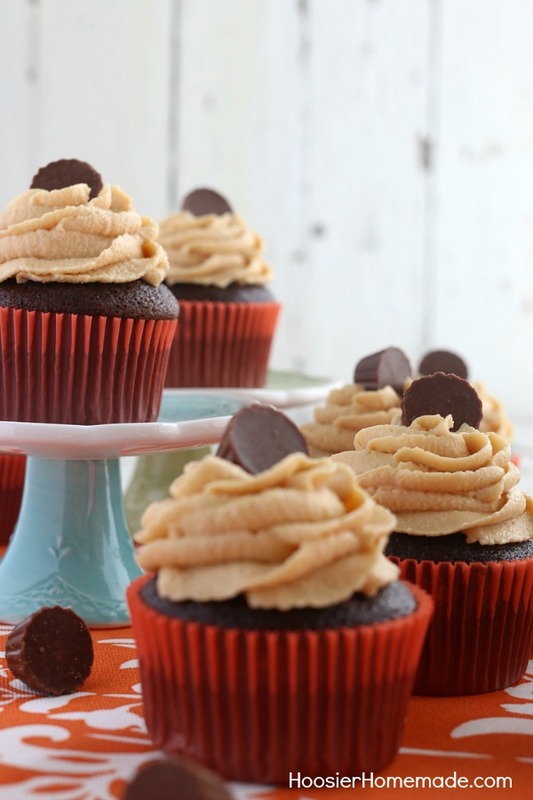 The peanut butter frosting is only 4 ingredients- peanut butter, powdered sugar, butter, and a little bit of milk to soften. I used a 1M star tip to add the frosting swirl. I had been stuck in a cupcake rut, always making the same recipe and expecting different results (isn’t that the definition of insanity?!). I am so excited to have this new chocolate cupcake (or cake!) recipe in my recipe box. It is definitely going to be my go to for rich, moist cupcakes! What is your favorite cupcake recipe? 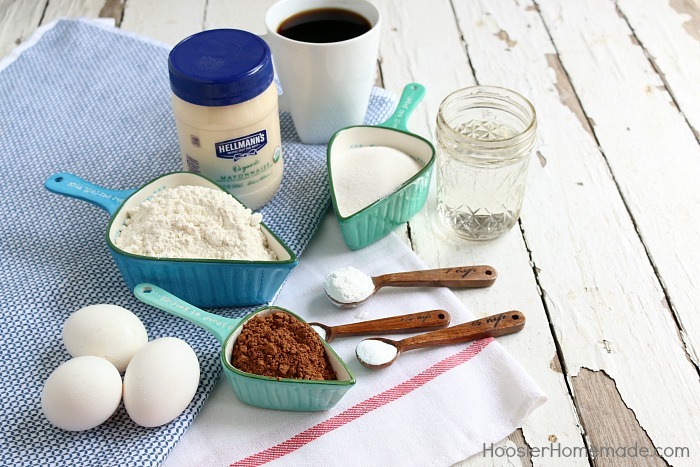 Are you ready to try the new Hellmann’s Organic Mayonnaise in your cupcakes? I promise it will make all the difference! 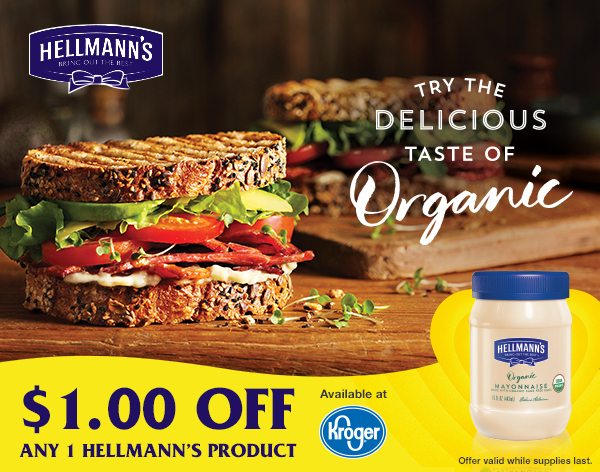 Grab this digital coupon for $1 off Hellmann’s Organic Mayonnaise! I used the original version, it also comes in Organic Spicy Chipotle and Orgnic Roasted Garlic. Find a Kroger store near you using their store locator. This Homemade Chocolate Cupcakes Recipe will blow you away! The secret ingredient might just surprise you! 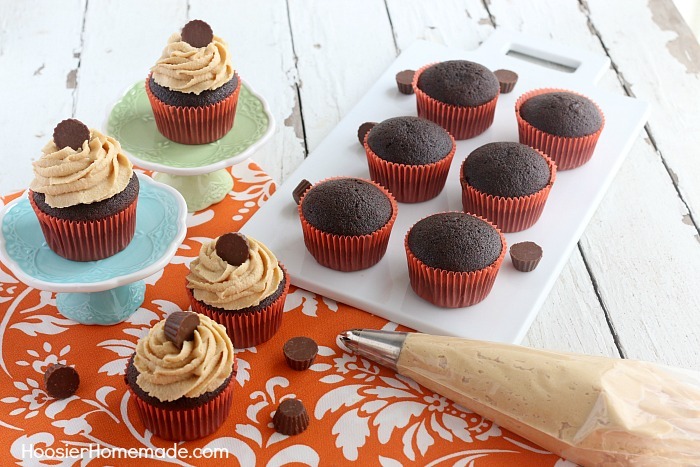 These moist cupcakes are perfect for any occasion! Cream butter and Peanut Butter until fluffy. Gradually add powdered sugar, alternating with a little milk at a time. Beat well, until desired consistency. Wow….I made these cupcakes for my nieces birthday party and EVERYONE said they were the best chocolate cupcakes they had EVER had! I used a homemade vanilla buttercream frosting instead only because I was making 5 dozen cupcakes in two different flavors and only wanted to make one flavor of frosting. 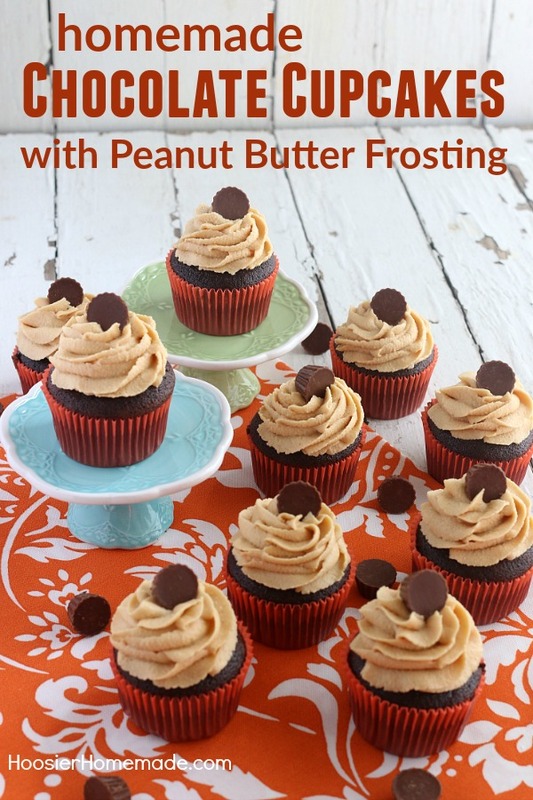 Next time I make these I will have to try them with the peanut butter frosting! Thanks for the recipe! Truly amazing and yummy! Hi Kelly, thanks so much for stopping by and letting me know how much you all like the cupcakes! You put my two weaknesses in one recipe….no far making this Indiana rednecks mouth water! They look so good. Seriously wishing you delivered right now. Wow never would have dreamed of using mayo! Thank you for sharing at Merry Monday! Look at that yummy frosting, drool!!! Thanks for linkin’ up with What’s Cookin’ Wednesday! I bet he will love these cupcakes Amberly! Do you have the metric measurements please?